We love to support good people doing great work. 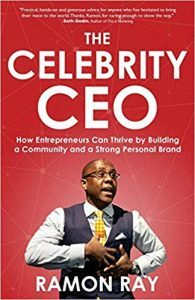 If you don’t know, Ramon Ray’s new book The Celebrity CEO: How Entrepreneurs Can Thrive by Building a Community and a Strong Personal Brand dropped yesterday. Ramon has more energy than a triple shot of espresso. He’s a sharp, smart, and always sharing ideas for how entrepreneurs can grow their business. He’s started four companies and sold two, has authored four books, and spoken across the United States and in other countries. I don’t know about you, but I’d love to have clients chasing me! This book is filled with tactics to build community and build your personal brand by educating and serving over time. 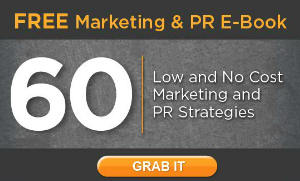 The goal is to become well known in your marketplace or your geographic area. And no, you don’t have to be a real celebrity – but your raving fans might mistake you for one. I ordered my copy and you might want to as well. Here’s the Amazon link. You can hear Ramon talk about the book – and why everyone should write a book – in this recent Facebook Live. P.S. The quote on the cover is from Seth Godin – wowza!